"THE WAVE" built by Rize Alliance. 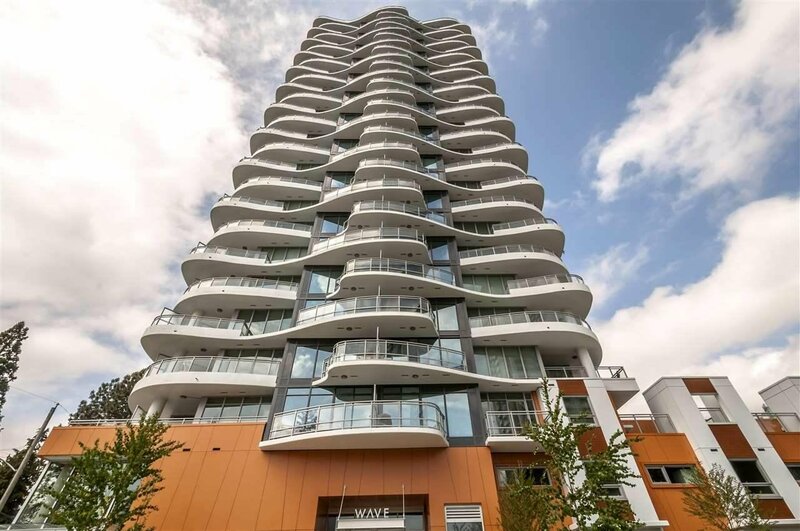 2 bdrm unit offers fantastic views of Fraser River, North Shore mountain & city located in Central City Surrey. Open concept design, laminate flooring throughout, kitchen w/Stainless Steel appliances, In-suite Laundry etc. Great amenities: gym room, bike room, pet wash room, rooftop deck equipped with BBQ & outdoor garden and much more. Walking distance to Skytrain, recreation Centre, library, City Hall, SFU, future Kwantlen University & future light train etc. Great for investment (can be rented out for approximately $1,200 a month) or perfect for first-time buyers. Move in to Will-be-New-Downtown. Call to book showings!